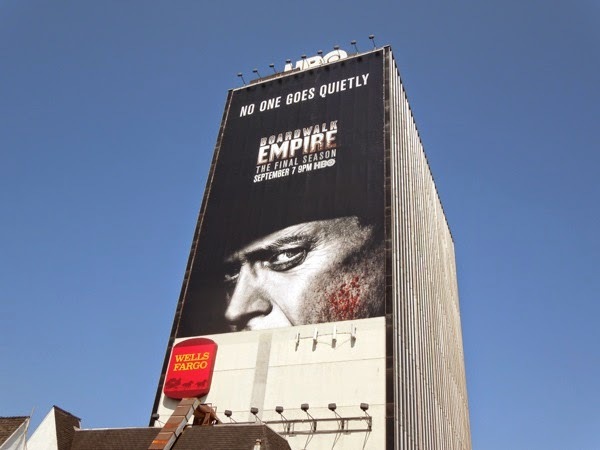 The end is nigh, but one thing is clear from these billboards, 'Nucky Thompson' isn't about to go quietly. 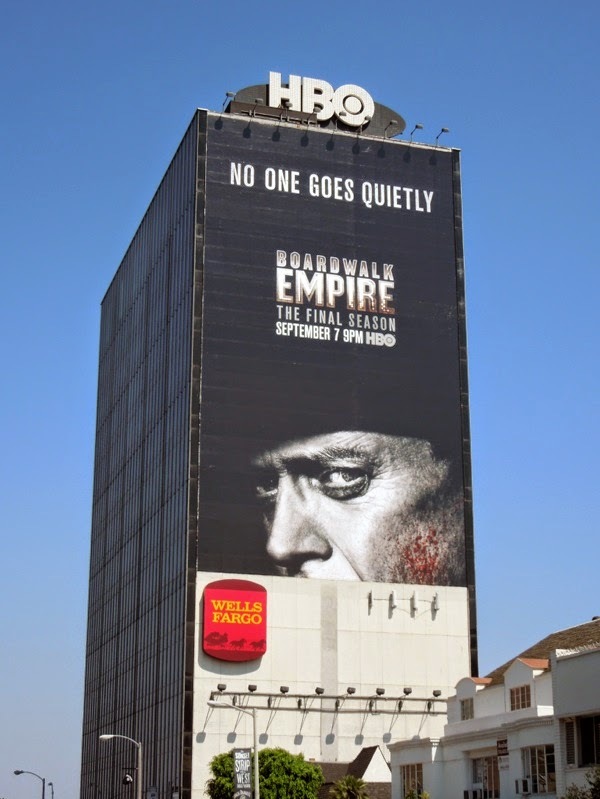 For the fifth and final season of Boardwalk Empire, Steve Buscemi is giving everyone the evil eye for the role that has already earned him a Golden Globe for Best Actor. 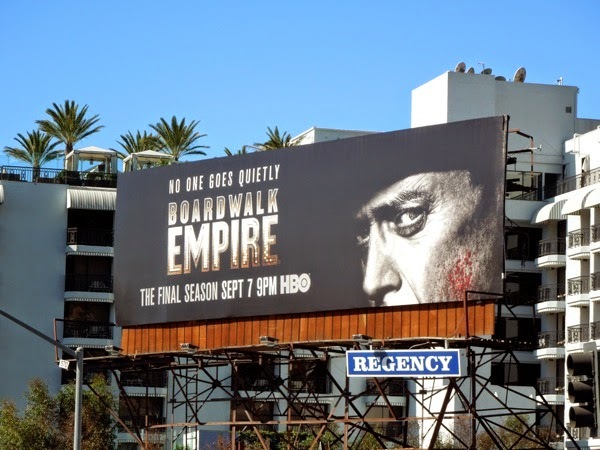 By the looks of things, Nucky's bloody cheek for one, the period gangster drama that has been set in 1920's and 1930's Atlantic City, New Jersey is sure to go out with a bang (a maybe more than a few of them). 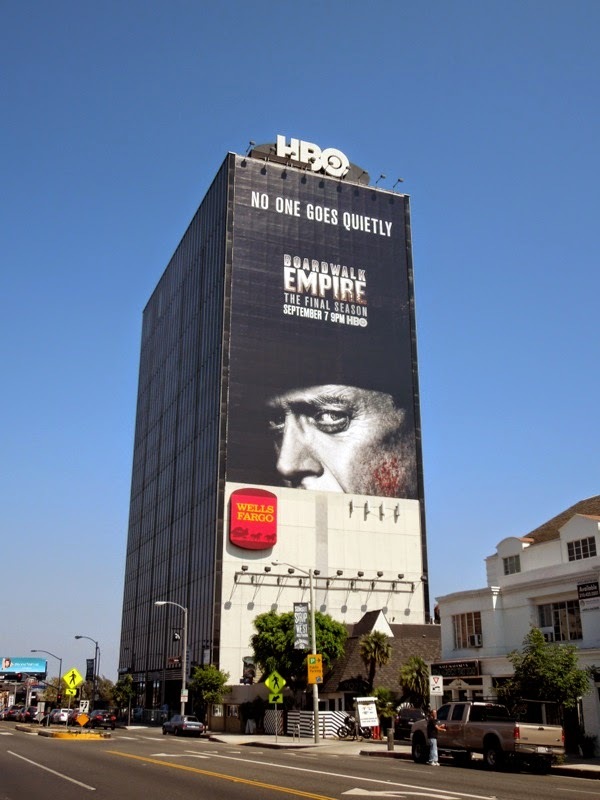 The striking season five landscape billboard was snapped on August 5, whilst the imposing giant-sized version was snapped towering over the Sunset Strip two days later on August 7, 2014. 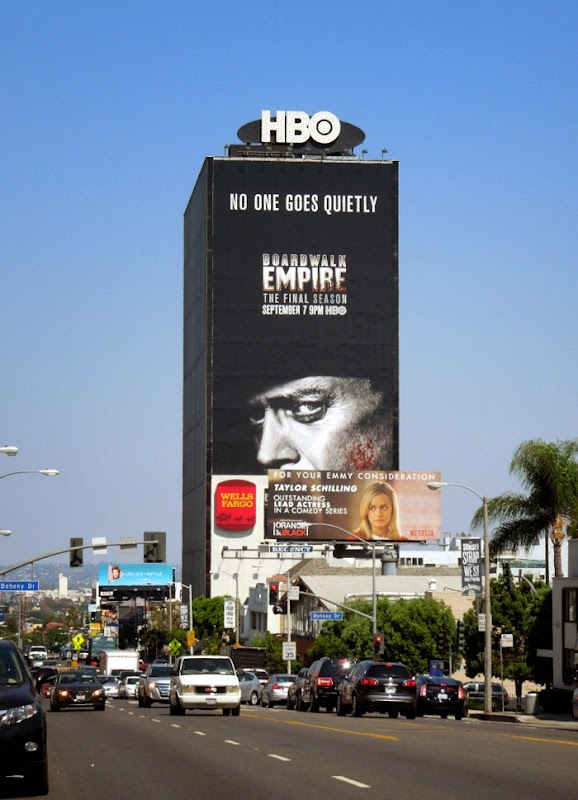 If you're a fan of the HBO show, be sure to check out all the previous season billboards for Boardwalk Empire, especially Daily Billlboard's favourites from season four, which came in a variety of vintage photograph style creatives of the wider cast. 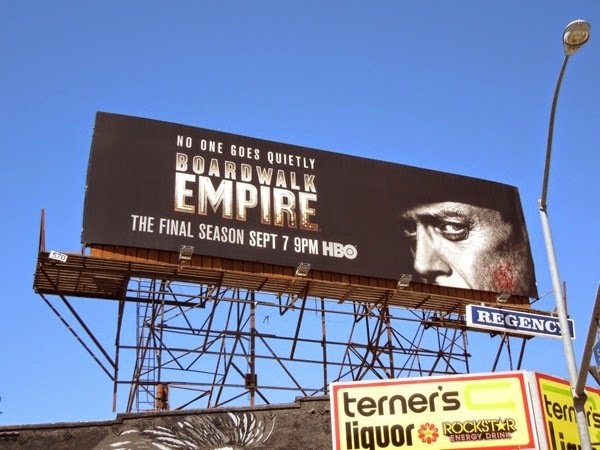 Which ones are your favourite season promo billboards? 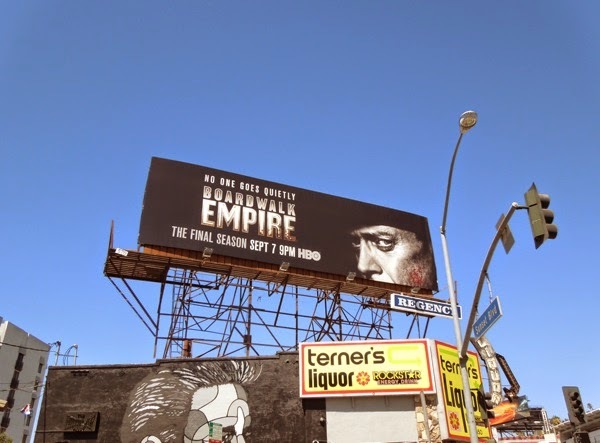 Only time will tell what dangers await everyone's favourite bootlegger this season, but you know you'll miss him when he's gone.